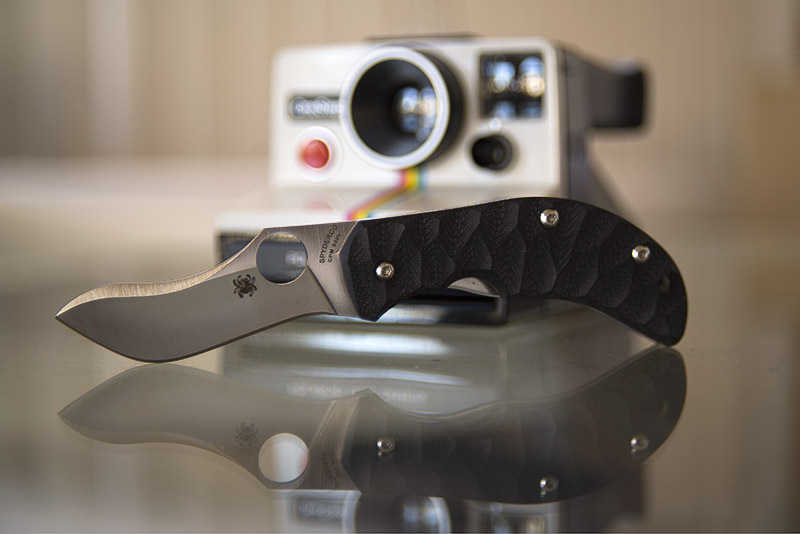 The C145 Zulu by Jens Anso was introduced in 2011 and is part of Spyderco's ethnic series. "A Popular Mechanics article inspired Danish teenage Jens Anso to take a drill press and power tools to an old metal file and make his first knife. When Gretzky slapped his first puck or Jordan tried out for the junior-high basketball team, history was written as it was when years later, an older Jens started innovating and modernizing old school European knifemaking. Anso's G-10 Zulu pioneers the process of chiseling out a G-10 handle scale to create a texture much like a topographical map. The peaks and ridges keep the knife firmly embraced in a gripping hand while offering a novel appearance. The handle houses a Michael Walker LinerLock® and is constructed using adjustable screws. A two-way: tip-up/tip-down right-hand clip is hourglass shaped lessening wear and abrasion in a pant's pocket. Made with Crucible Steel's CPM S30V, the Scimitar- shaped blade has a large radius hollow grind and a tapered spine-swedge, stretching from the blade's tip along the spine to the enlarged Spyderco Round Hole. Spyderco's second collaboration with Mr. Anso represents his modern interpretation of high-performance folder making with a time-honored reputation for Spyderco's quality." This page was last modified on 14 November 2016, at 02:00.